Dubai, Paris, 15 January 2018 – At CABSAT today, leading satellite operator Eutelsat Communications (Euronext Paris: ETL) released new data about the TV channels it broadcasts from its 7/8° West video neighbourhood. The attraction of the region’s 7/8° West neighbourhood is driven by the growth of High Definition content, with 187 HD channels now broadcasting at this position. One visible shift can be noticed when it comes to Free-To-Air (FTA) channels, with more than 110 HD FTA channels now broadcasting from 7/8° West, a 44% increase from January 2017 to January 2018. This acceleration, which once mainly applied to Gulf countries, now applies to the entire region, especially Levantine and North African countries. The pace of HD adoption is accelerating in the MENA region. 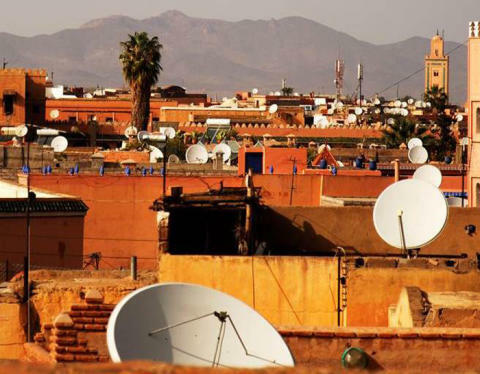 According to Eutelsat’s latest TV Observatory report relating to Algeria, Egypt, Morocco and Saudi Arabia, HD-equipped homes at the 7/8° West neighbourhood now reach 20.6 million (66% of TV homes), up from 10.7 million in 2016.